The first question you should be asking is why do we need ideas? A strong purpose or a clear goal should be a powerful trigger for the generation of new ideas. The purpose could be born out of necessity, such as a need to make financial savings, or in response to a crisis, such as Facebook’s data breach affecting 87 million users. It may also be driven by a desire to increase transparency and engagement across the organisation. Ideas solve challenges that keep managers and leaders up at night. Next consider how your organisation is currently generating, collating, analysing and implementing ideas. Do you have spreadsheets, an email inbox or another process? These may be difficult to manage and correlate similar ideas, lack insight for participants into other ideas shared or the ability to track progress with their own idea. 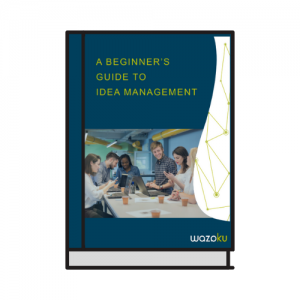 One centralised, global home for ideas, like Wazoku’s cloud-based idea management platform can ensure this process gives everyone a voice and role in the innovation process. 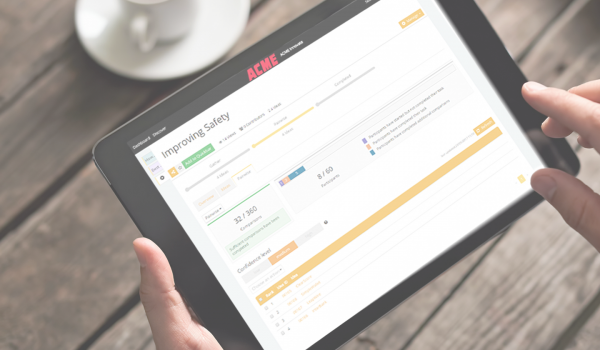 What does idea management software enable you to do? Capture and evaluate ideas within an organisation, with your customers, your partners or even the world, in a structured way. The ability to select and refine ideas that offer the greatest potential business value. Manage the idea process effectively. Increase revenue and have a more engaged, productive workforce, ecosystem and customer crowd. Generate ideas as part of dedicated innovation campaigns or continuous idea capture. A unique ‘Recommendation Engine’ that learns about the structure of your organisation and matches the right influencers, experts and decision-makers to the right ideas. All too often idea software simply provides an online version of the traditional office suggestion box. Ideas go in, a designated person or team read through the suggestions, and a few are selected for further development. Unfortunately this type of system leaves no room for wider collaboration and employees are often unaware of the outcome of their idea. The best idea software tools provide a more transparent and democratic process. Those that also encourage collaboration offer even greater value, as they tend to deliver more complete ideas, resulting in quicker implementation and broader employee buy-in. Wazoku’s Idea Spotlight does exactly that. In fact, Idea Spotlight not only makes the idea management process completely transparent, democratic and social, it also allows you to reward those who suggest and develop new ideas. Simply providing the right tools to capture and sort ideas is not enough to sustain an ongoing innovation programme. Companies considering idea software need to think about ways to initially encourage employee involvement and develop a culture of innovation over time.